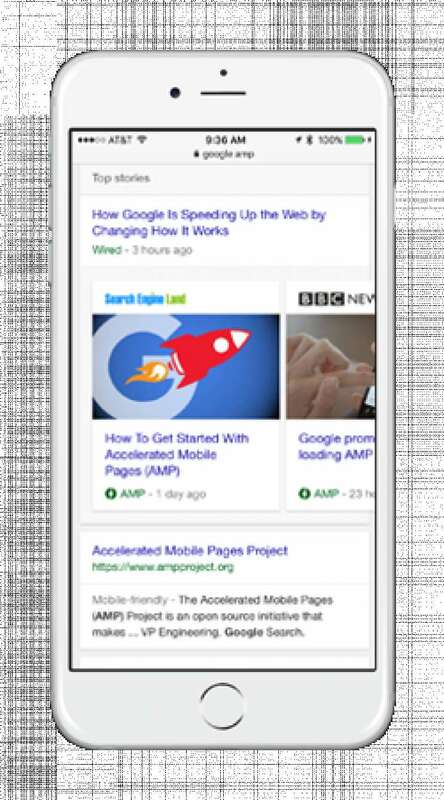 Blog > What's A Google AMP? What are Google's Accelerated Mobile Pages? The shift to accommodate everything on our mobile phones prompted the creation/invention of AMPs. More and more people are now using their smartphones to surf the web, perform social media activities, and even make online purchases. Google confirmed in May 2015 that “more Google searches take place on mobile devices than on computers in 10 countries including the US and Japan.”. This came 5 months after a comScore study in Q4 2014 revealed that mobile and tablet queries accounted for 29% of total search volume. In a nutshell, AMPs strive to provide the best user experience for mobile users by providing lightning access to content. And because Google is able to identify AMP-HTML pages, it can now prioritize these in mobile search engine result pages (SERPs). Who Should Get On It? Content publishers will benefit most from having “AMP-lified” pages. Websites that opt into this framework will benefit from speed improvements in addition to better search exposure on mobile SERPs. AMP listings appear above the fold on search engine result pages. The most immediate impact for content publishers who won’t opt into AMP will be a decrease in impressions and clicks, even with a top organic position, because organic results are essentially pushed down to accommodate this new real estate. AMP is very similar to Facebook’s News Carousel, as AMP-compliant pages are displayed from the search engine results page. Users can click through a list and content will load almost instantaneously. Google will also pre-render content above the fold. At Prove, we grow businesses by making them more relevant to more people. Our approach is to lead with data, and find, test, and optimize the channels and messages that work for your business. Schedule a call with our team to learn more about our SEO services and other areas of digital marketing expertise, and how we can help your business thrive.